The chakras, wheels of swirling energy in the subtle body, have become a buzzword in the yoga world. 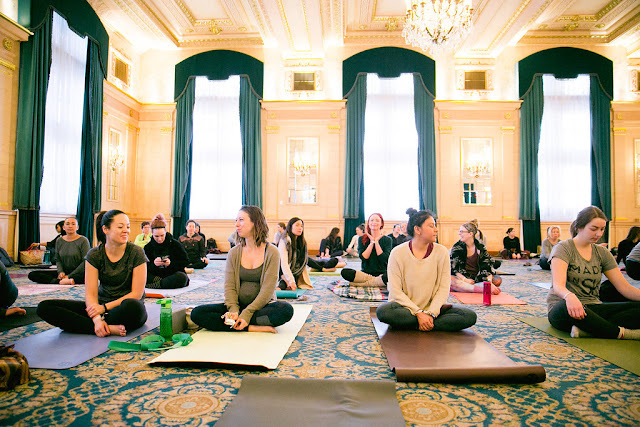 These seven energy centres have inspired jewelry, art, yoga classes, and music. But what are they? And how do they apply to your body + health? Last week went to the root of the energetic body, Muladhara and grounded down into the physical self. This week, we journey upwards into Svadhisthana, the second chakra, located in the upper part of the sacrum, just below the navel. The element this chakra is water, and the colour of this energy is orange. Its basic right is to feel and have pleasure. The second chakra develops between the ages of 2-3 years old till about 6 years old, the point in our lives when we begin to separate from our tribe and begin to interact with others outside of our family. This chakra deals with our relationships, creativity, joyfulness, and pleasure. Its main issue/block is guilt. Physically, this chakra is connected to the hips, groins, and reproductive organs. 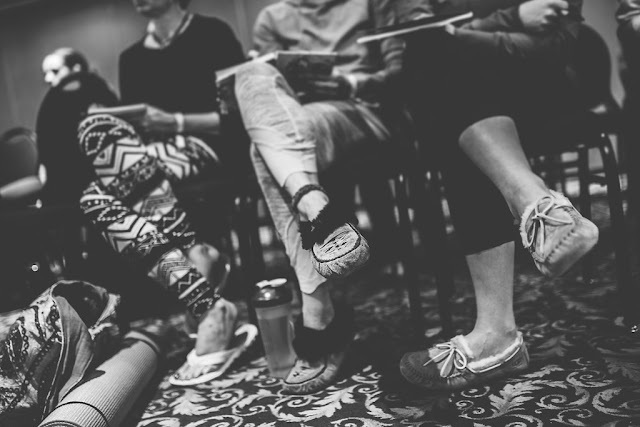 Svadhisthana's purpose is movement, joy, and connection. Picture yourself at 5 years old, running through a park on a warm sunny day. You're not running to get anywhere, or to achieve anything in particular, you're simply running (with arms flailing about - without a care for how you look or what others think of you) because it feels good. That's svadhisthana. *When practicing these poses, find a flowing element. Visualize yourself as flowing like water, creating fluid movement between the beath and each pose. While in the pose/meditation, picture a sweet, beautiful sunset. 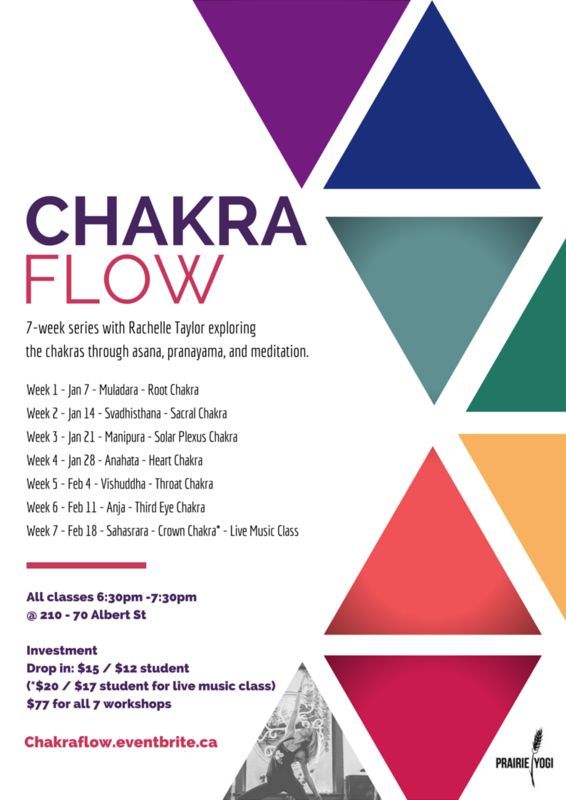 Learn more about the chakras through asana + meditation with Prairie Yogi's Chakra Flow, a 7-week yoga series starting this Wednesday January 7th at 210-70 Albert Street taught by Rachelle Taylor. 6:30-7:30pm. $15 drop in or $77 for all 7 sessions. Purchase your pass online or drop in.